The truth is, I like the idea of change but not the actual execution. Let me give you an example. There’s something that really intrigues me about moving to a new place where I don’t know anyone. That’s really exciting to me, but the truth is I would never do it. I’ve lived in the same five-mile radius for all of my 37 years, and it looks like I’ll be here, God willing, for 37 more. 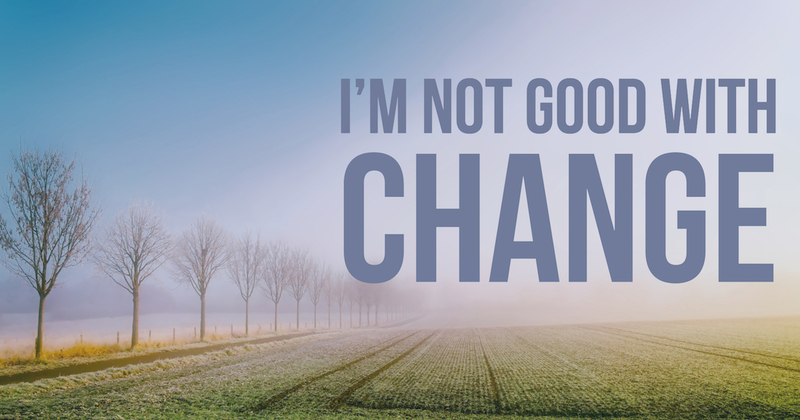 Change sounds fun, but in reality it produces stress and anxiety, which are not fun. Which is why I, along with the majority of your church, don’t like change. Our brains are wired for certainty. Uncertainty causes us to feel threatened, which makes us want to run away, or lash out, or complain, or resist. It does to me. I’ve been there, done that, and got the scars to show for it. If you’ve been in ministry very long, you have too. Many pastors have quit the ministry altogether because they felt like the fight wasn’t worth it. Others have chosen to surrender the fight and have buried their hearts instead, serving in churches that have no interest in ever changing and will slowly die. Then there are the brave few who choose to fight on knowing that countless lives are on the line. This post is for you. If you’re brave enough to try to implement change in your church, you’re going to need some tactics and strategies to make sure you come out alive. Here are a few that I’ve learned the hard way. Cast a compelling vision. The people who have been in your church for years have stayed because they like it the way it is. Believe me, they’re not interested in changing a thing. So, you better get a really compelling vision from God on what He wants to do through your church, or you won’t have a chance. Don’t rush in. I know when you get a vision for what God wants to do, it’s easy to get excited and go too fast. Don’t make that mistake. Many pastors have failed because they didn’t have the patience to wait for the right time. Take your time building genuine relationships and getting people to buy into the new vision God has given you. If your church has done things the same way for the past fifty years, don’t expect them to change a whole lot in the next five. Sometimes winning the battle means living longer than those who oppose you. Celebrate the victories along the way. Even the seemingly small insignificant ones. New visitors, new volunteers, new babies born. Find a way to tie them all back to the vision God gave you. People want to be on a winning team, so the more wins you can find, the quicker people will get on board with what you’re trying to accomplish. Have you even been part of transitioning a church? What would your advice be? Let us know by leaving a comment below, and don’t forget to subscribe the blog and pick up my new ebook, The Basics: 13 Steps to Turn Around Your Small Town Church.